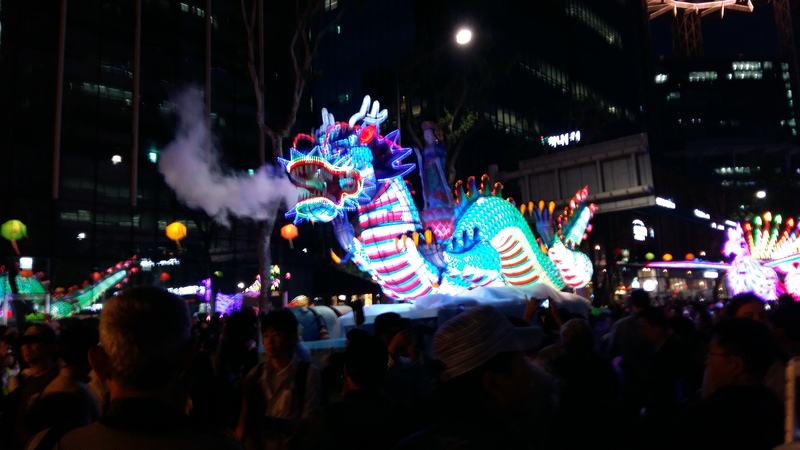 This weekend, I happened to be in Taipei, Taiwan in time to celebrate the Lunar New Year, which fell on Saturday, Jan. 28 this year. 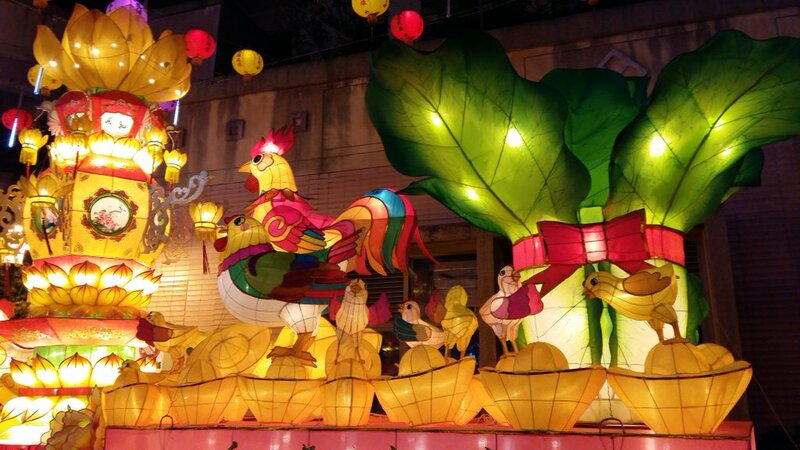 According to the Chinese zodiac, 2017 is the Year of the Rooster. 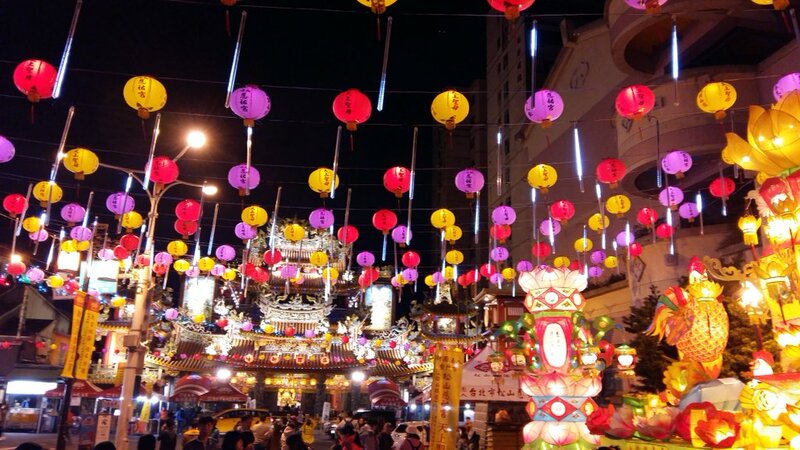 Around town, many Taiwanese people burned Joss paper (also known as “ghost money”) in metal fire pits as part of a special holiday ceremony. The sheets of paper are burned in honor of the deceased. 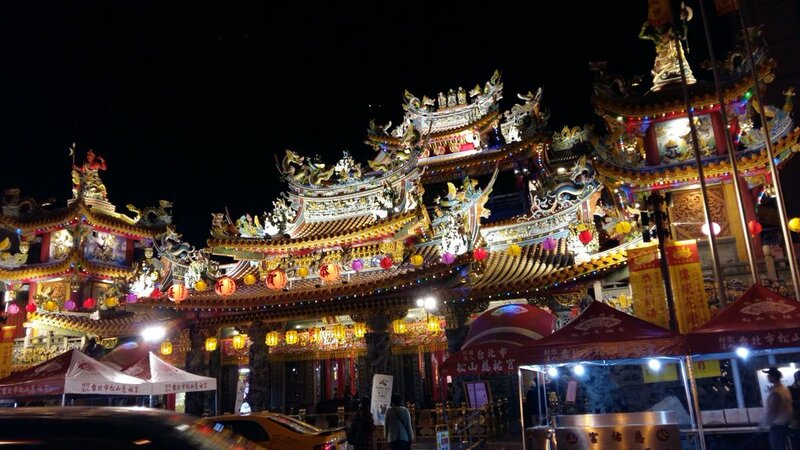 Ciyou Temple is an ornate temple dedicated to Mazu, a Chinese goddess of the sea. 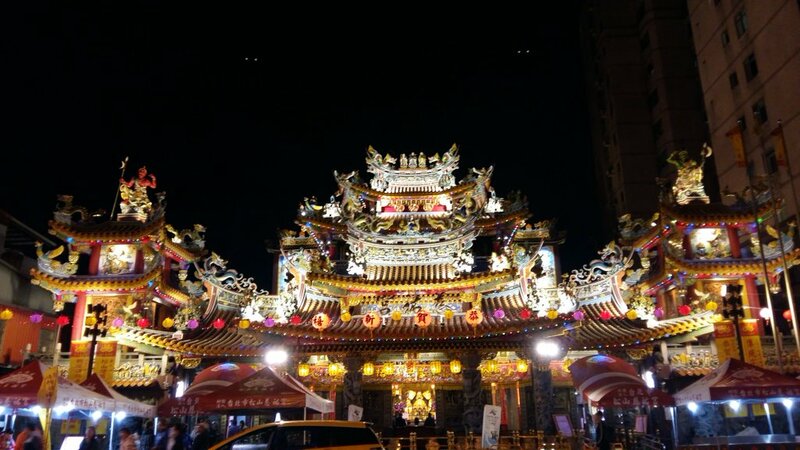 The temple was built in 1753 and is an impressive historical landmark in the Songshan District of Taipei. 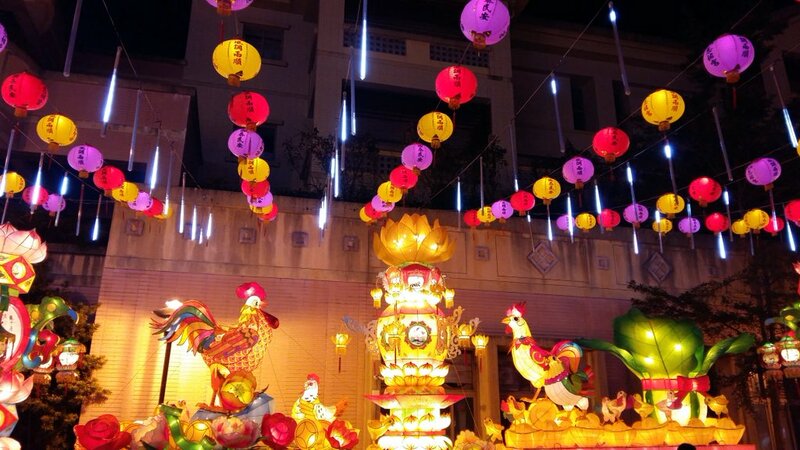 The temple has an impressive six floors of detailed decorations to see. 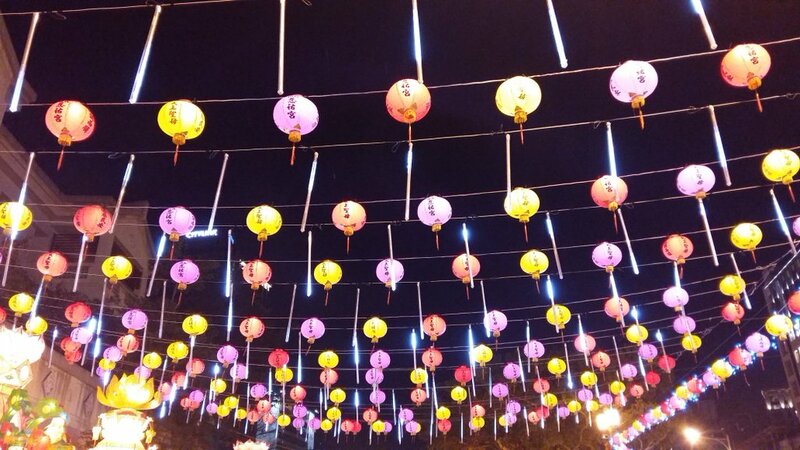 After midnight on the new year, locals shoot off fireworks to celebrate. 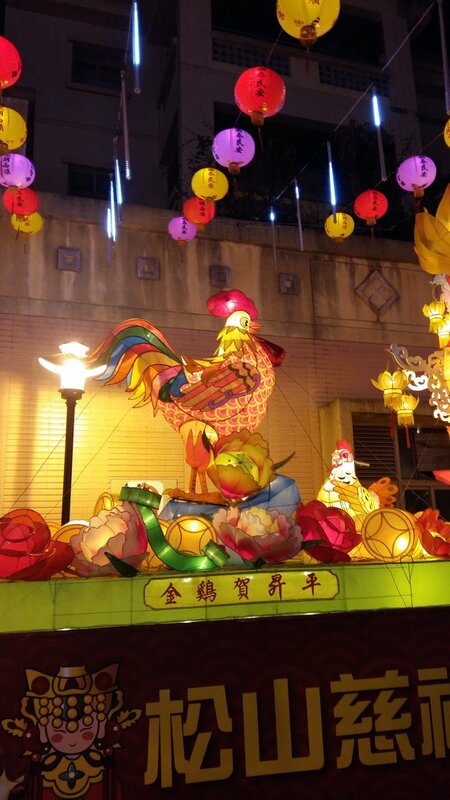 This entry was posted in Taipei, taiwan, Travel and tagged chinese new year, chinese zodiac, Ciyou Temple, ghost money, joss paper, lanterns, lunar new year, mazu, new year, religion, Songshan District, Taipei, taiwan, temple, travel, year of the rooster, zodiac on January 30, 2017 by screamfmlondon. 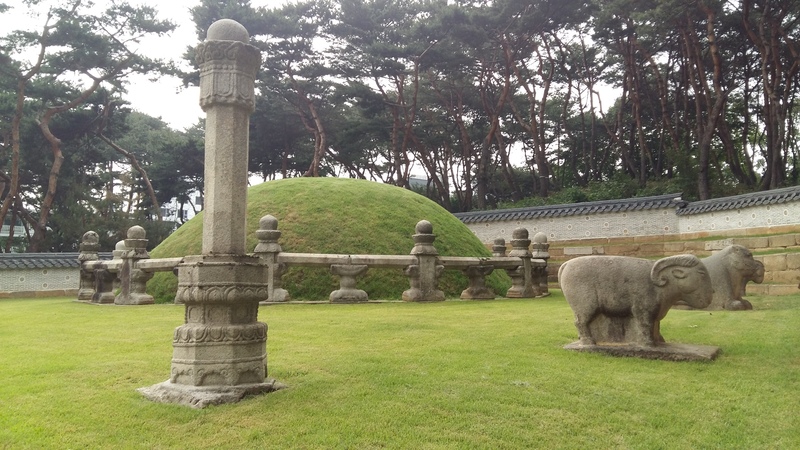 There are 40 royal tombs honoring members of the Korean Joseon Dynasty throughout South Korea. 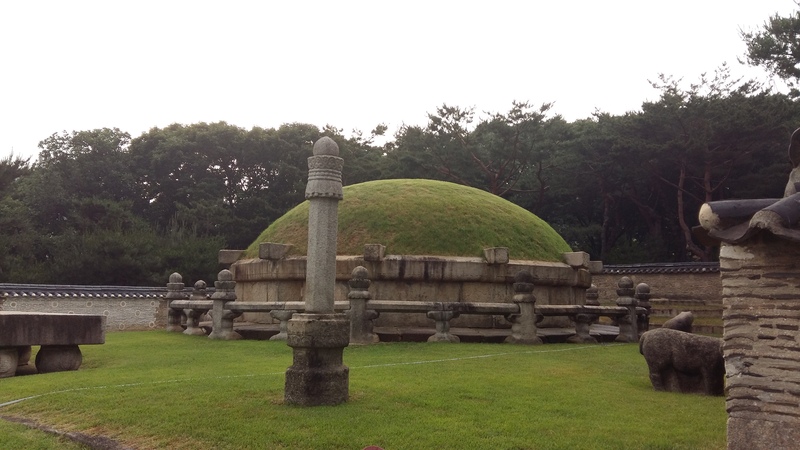 The scenic tombs are scattered in about 18 different clusters — most of which are located near Seoul. One such cluster, housing Seolleung and Jeongneung, is located in modern-day Gangnam. 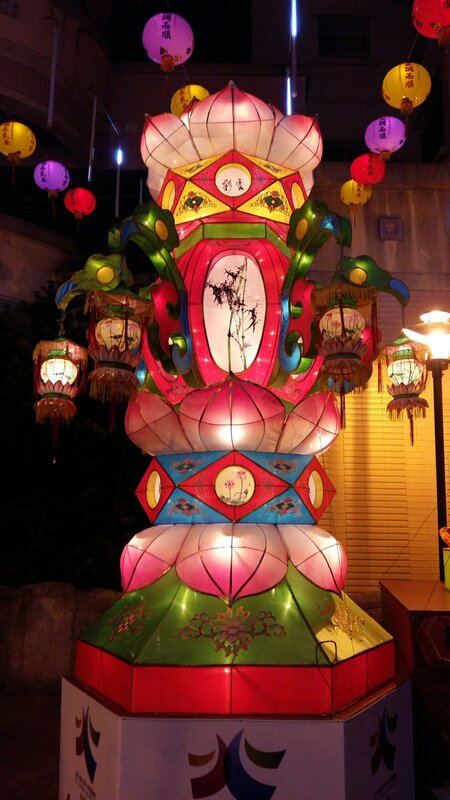 Seonjeongneung is the burial grounds of two Joseon Dynasty kings and one queen. 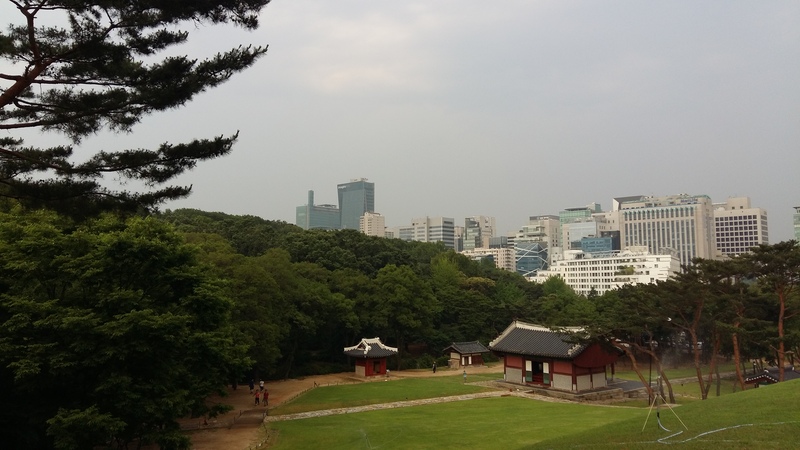 An entry fee of 1,000 KRW grants you access to the expansive, gorgeous park. 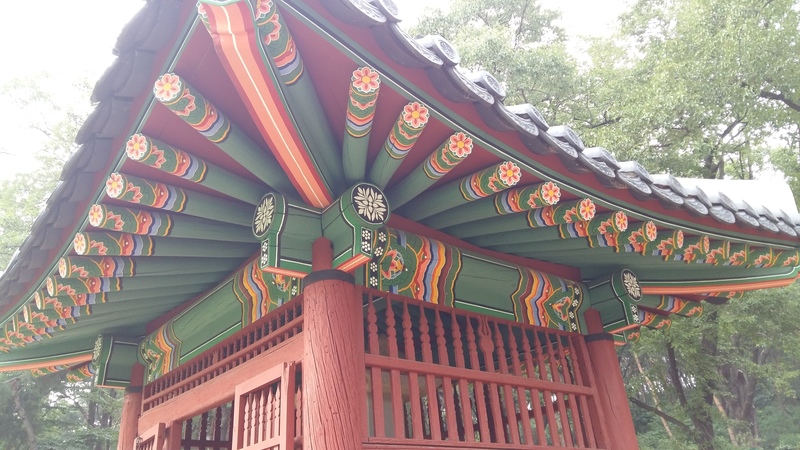 The first structure you encounter at most royal tombs is the Jeongjagak shrine — the site where memorial services are held and offerings are presented. Two paths called “chamro” lead up to the T-shaped shrine building. The sinro path is slightly elevated because this is the spirit road. 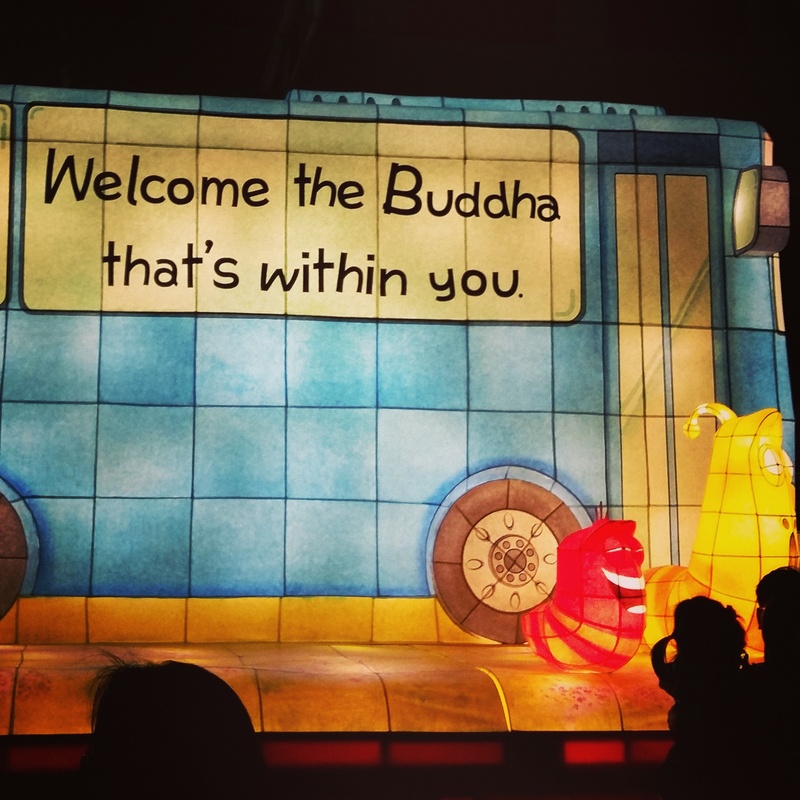 You are not allowed to walk on the spirit road unless, of course, you are a spirit or a god of some sort. The eoro path runs parallel to the sinro — this is the path of the king, and this is the one you are supposed to take when visiting the tombs. There are also two sets of separate staircases leading up to the shrine. The spirit stairs are larger and more ornately decorated with stone swirls along the sides. The king’s stairs are simply stacks of bricks (with a helpful little “you may step on” sign guiding the visitors’ way). 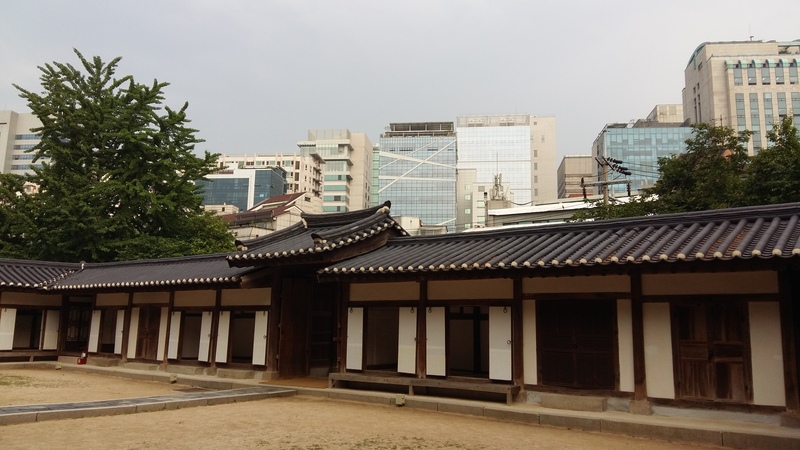 Beyond the first Jeongjagak building at Seonjeongneung are the tombs of King Seongjong and Queen Jeonghyeon. King Seongjong is the ninth king of the Joseon Dynasty, and he ruled from 1469-1494. Queen Jeonghyeon was his second wife who outlived him by 35 years. 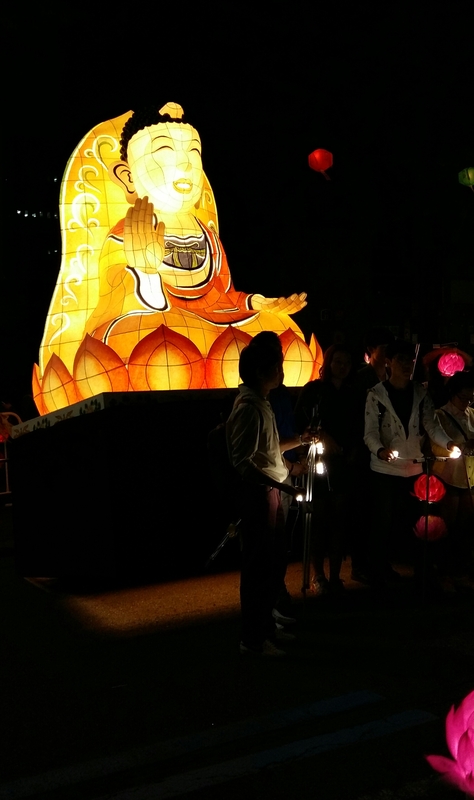 She is most notable for her interest in reviving Korean Buddhism. 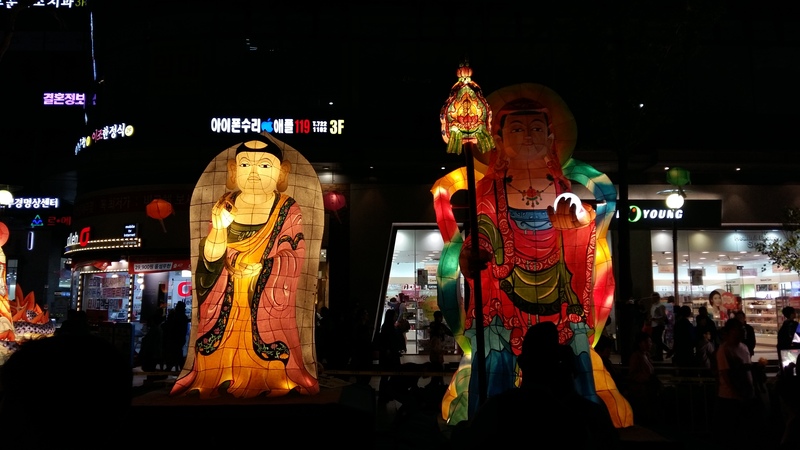 In 1498, she had the nearby Gyeonseongsa Temple refurbished and renamed as Bongeunsa. 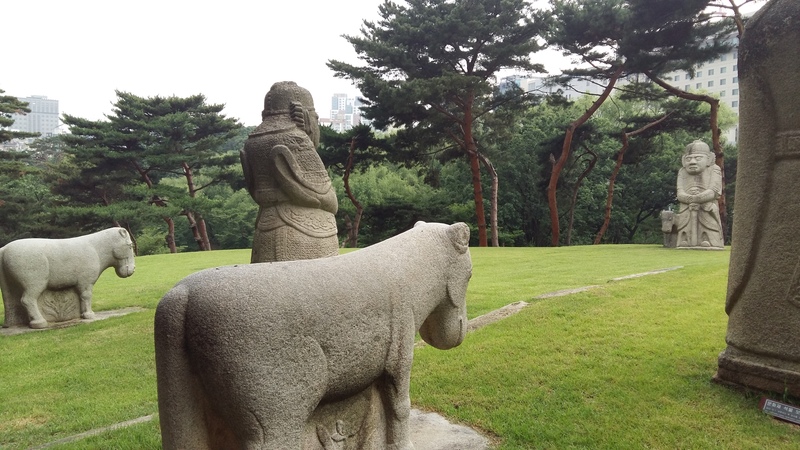 The grave mounds are protected on three sides by walls and are flanked by great stone statues of scholars, soldiers, horses and other animals that watch over the tombs. 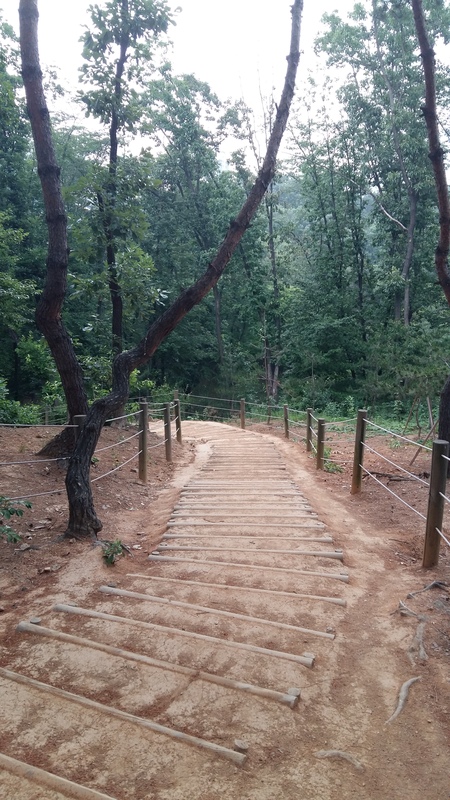 In addition to the tombs, the grounds offer a very beautiful chance to escape the bustle of Seoul to stroll through thickets of trees, see wild pheasants and fall down in the mud. Trust me: I did all three. The air smells fresh and woodsy, and there are apricots and grapes growing around every corner. But, don’t worry; you’re not really, really in nature. I am such a sucker for that silvery city skyline visible just above the groves of red pine trees. 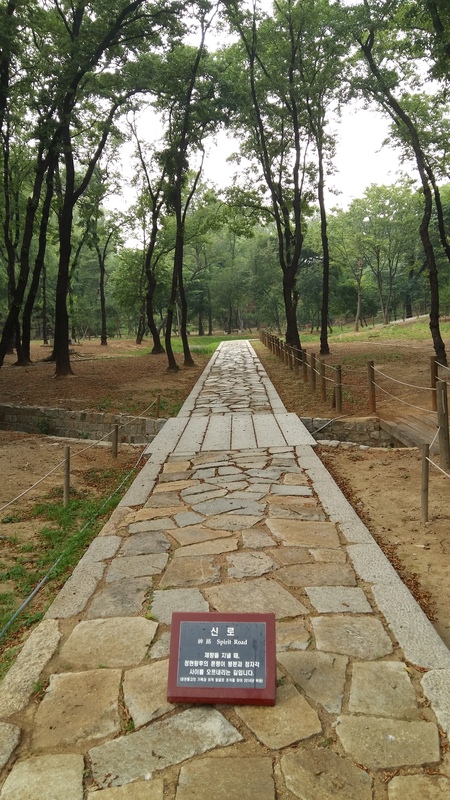 On the other side of the site is the Jeongneung tomb — the burial ground of King Jungjong. He was the 11th king of the Joseon Dynasty and King Seongjong’s second son. King Jungjong is known for succeeding his tyrannical half-brother, Yeonsangun, to the throne after the latter was overthrown in a coup in 1506. 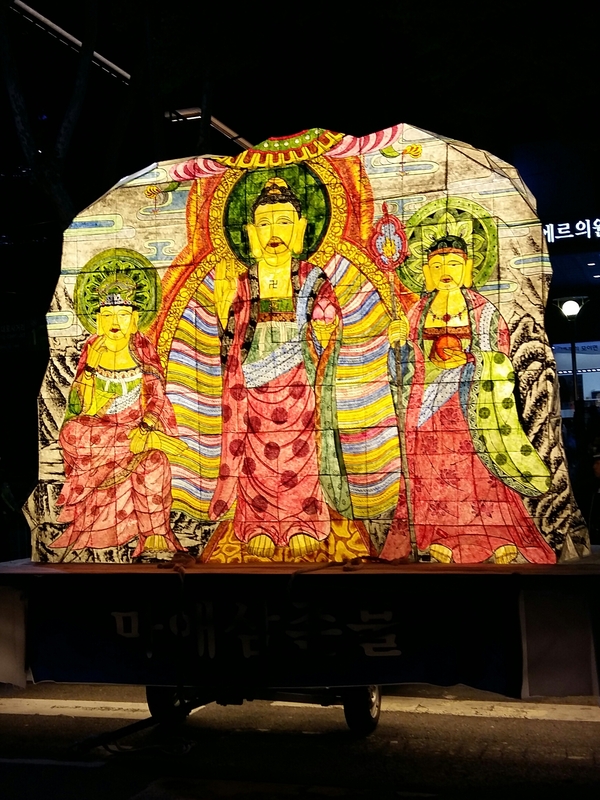 This entry was posted in Korea, Seoul, Travel and tagged architecture, Bongeunsa temple, buddhism, burial grounds, coup, fruit, funerals, Gangnam, Gyeonseongsa Temple, history, Jeongjagak, Jeongneung, Joseon Dynasty, King Jungjong, King Seongjong, korea, nature, Queen Jeonghyeon, royal tombs, Seolleung, Seonjeongneung, seoul, shrine, south korea, spirit, temple, tombs, travel, Yeonsangun on June 16, 2015 by screamfmlondon.